Synopsis: In a moment of passion and intimacy, Ross proposes to his promiscuous lover Trish. She desperately wants to say yes, but cannot. But Ross won’t take no for answer—she must either marry him or explain why she won’t. She tells an extraordinary tale about who—and what—she really is. But is she telling the truth? And if she is, will the truth destroy these lovers, or save them? 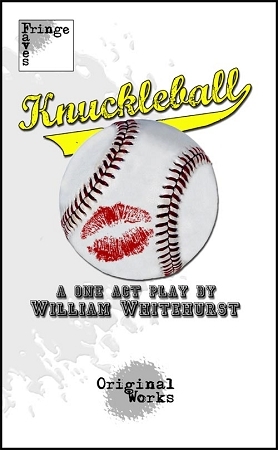 Knuckleball challenges us to rethink the nature and meaning of love in our contemporary world.